Boishaki Mela is a festival which welcomes the Bengali New Year, and it weaves through Brick Lane every year with elaborate processions, music and dance. There’s something magical about public celebrations where everyone is welcome to join in. Street food stalls are an essential part of Boishaki and there’s always a long line of festival-goers queuing up for Chanachur – one of my favourite snacks growing up. It’s very moreish – the crispy Bombay mix pastry softens a little in lemon juice, while sharp, thinly sliced onions and finely chopped green chillies add freshness and crunch. An occasional burst of pomegranate sweetness is one of my favourite additions. This is especially good during hot summer days, served with a cold drink. 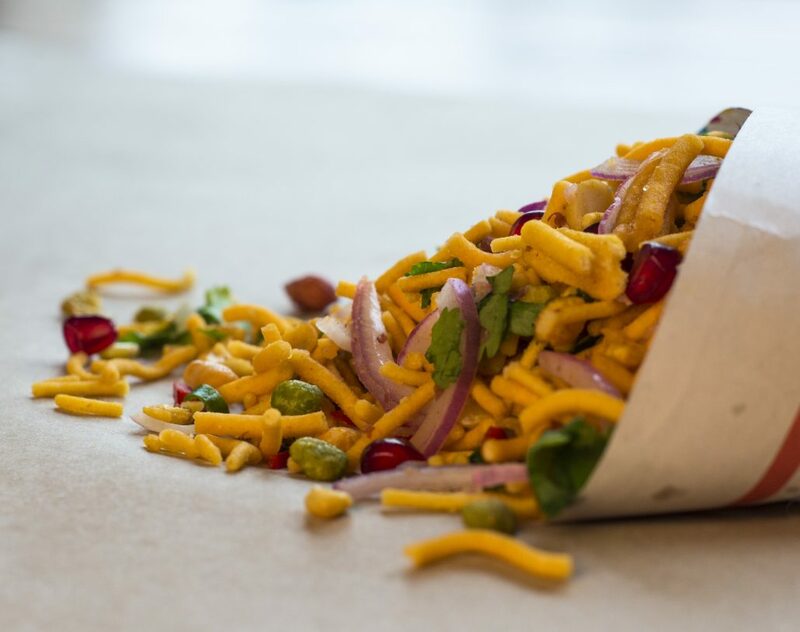 Simply pour the Bombay mix into a container with a lid and add the onion, chillies, coriander and lemon juice. Place the lid back on the container and shake vigorously for several seconds. Open the lid and stir through the pomegranate seeds just before serving. Make sure to mix everything together just before serving; otherwise your Bombay mix will become soggy. 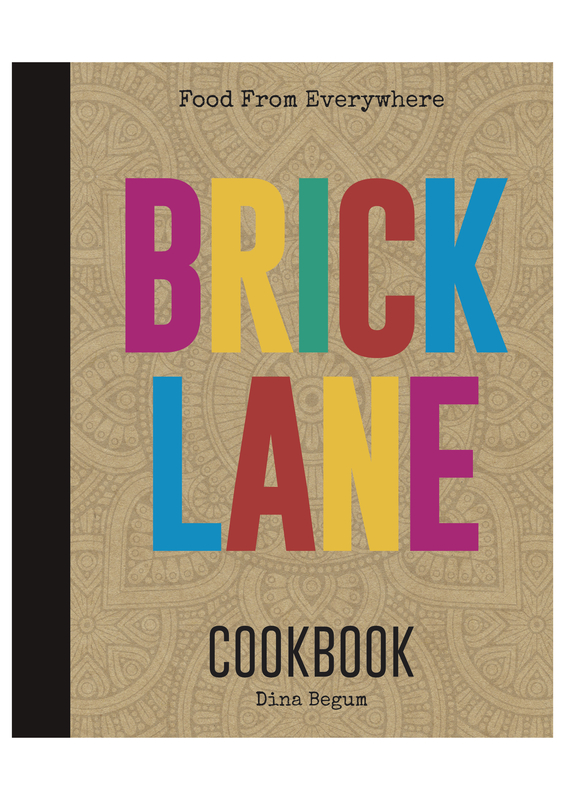 Order Brick Lane Cookbook here.